WeiMeng was established in June 1995. Now, WeiMeng has 20,000 square meters production workshop. The production is starting from the open mold, forming and heat treatment. The factory has complete production system. The mission is to exercise “quality policy” which means all employee participate quality control, continue to improve service and satisfy customer’s demands. Particularly, WeiMeng introduce the special mechanical screw to overcome the mechanical screw loosing trouble. Household appliances, Audio, Computer, Copy Machine and Automotive components, etc. 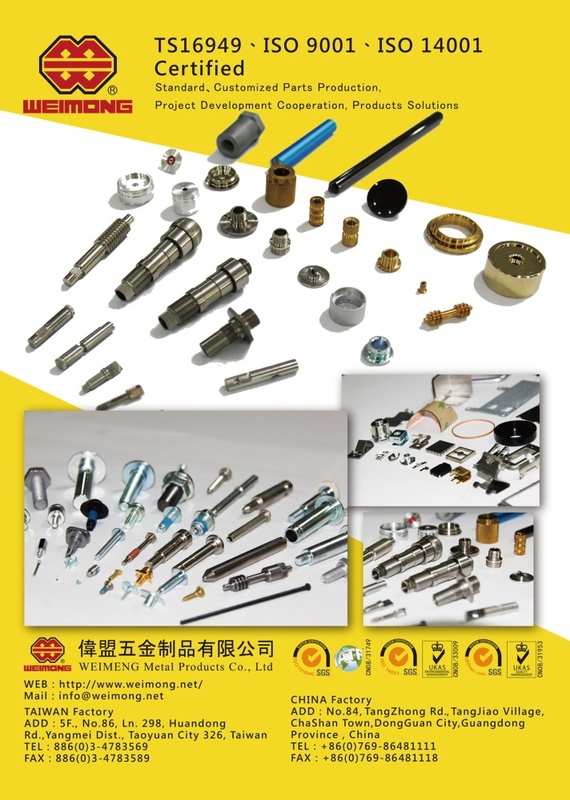 WeiMeng has TS16949, ISO 9001, ISO 14001 certification and win several enterprises outstanding manufacturers' certificate.